The Industry Development Group of the Trade Department met with 57 industry associations and companies as well as eight government agencies to chart roadmaps that will guide the development of Philippine industries. Trade Undersecretary and Board of Investments managing head Adrian Cristobal said most of these organizations had expressed their support to the project and were in constant coordination with the incentive-giving agency on the next steps for the roadmaps. Cristobal said the roadmaps would contain plans for various industries in view of the renewed optimism about the country’s trade and investments’ performance in the global market. “Charting the future of Philippine industries is essential for the realization of a comprehensive national industrial strategy,” Cristobal said in a press briefing. The Trade Department held as early as Jan. 30 this year an industry development forum with 81 industry associations. It also held a consultative meeting with government agencies on March 13 to solicit their comments and ideas on the project and additional information on similar fields that they were undertaking. The sectors that committed to formulate their industry roadmaps were air logistics, copper and copper products, fine jewelry, auto parts, rubber and rubber products, tool and die, metal casting, coconut and coconut products, hogs, poultry, coffee, medical travel/medical tourism, retirement industry, flat glass, plastics, paints and coatings, printing ink, garments and textiles. Also included were chemicals, motorcycle and motorcycle parts, iron and steel, petrochemicals, handicrafts, furniture, business process outsourcing, hotel, mass housing, engineered bamboo and biodiesel. Electronics and business process outsourcing are among the sectors that had already crafted their own roadmaps. The electronics industry, for one, had successfully followed its own roadmaps in 1997, 2002 and 2010. 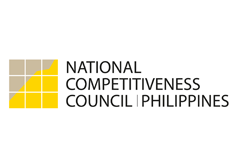 The Trade Department urged industries to formulate their own sectoral competitiveness roadmap to provide inputs for the national comprehensive industrial strategy as envisioned in the Philippine Development Plan 2011 to 2016. Under the Philippine Development Plan 2011 to 2016, the government is mandated to formulate a comprehensive national industrial strategy that shall spell out opportunities and prepare the industries to attract investments and generate jobs.